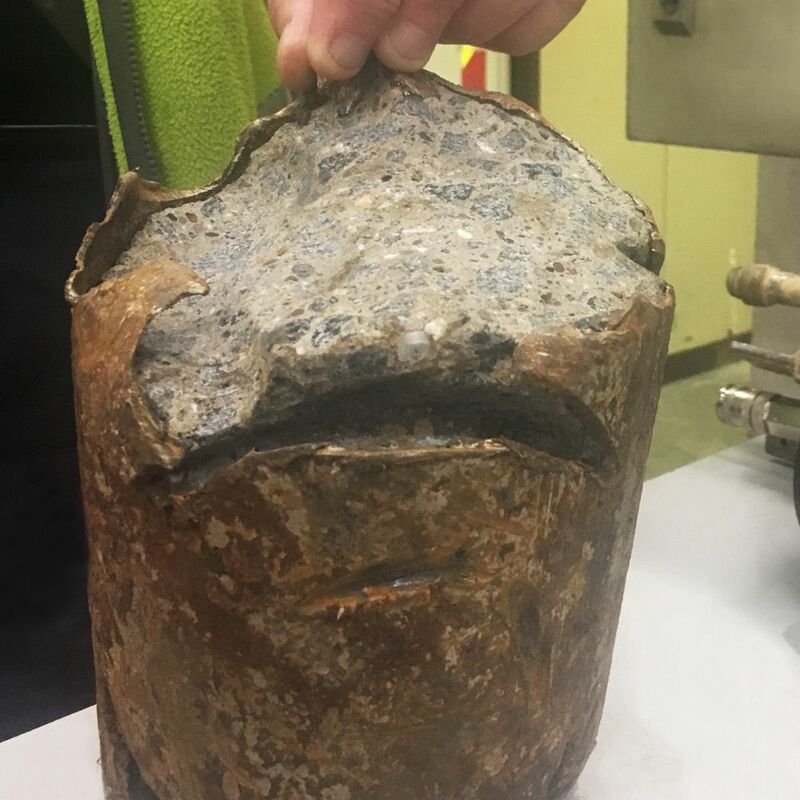 Two steel and concrete foundation piles that had been driven through a 375mm culvert have been given the chop using the latest robotic cutting technology. The sewer rehabilitation service at Lanes Group plc was called in after the 150mm piles were put through the concrete culvert during the building of a garage in the garden of a house in Irvine, Ayrshire. The drainage specialist, a national leaded in remote access pipe repair, was commissioned to carry do the work because the only other option was to demolish the garage and excavate the culvert. Such a major undertaking would have been even more arduous, because the culvert took large volumes of water off nearby high ground, making contingency plans to manage the flow more complex. John Murray, Operations Manager at Lanes’ Glasgow depot, who co-ordinated the project, said that, even using remote access technology, it was a significant challenge. “The high and unpredictable flow rates meant we had to pick just the right moment to carry out the work and select a cutting method that could complete the task safely in as short as possible a time,” he said. The answer was to deploy Lanes’ latest ProKASRO electric-powered milling robot. Unlike hydraulic or pneumatic robotic cutting systems, there is no loss of power at longer distances from the point of entry into the pipe. The 760mm-long ProKASRO 4.0 DN 200-600 milling robot is designed to be operated in pipes with diameters from 200mm to 600mm. An operator controls the machine from a console in a van, viewing it through a video camera lit by LED lights. Its diamond milling head is more than a match for steel or concrete. Four specialist crews from Lanes, eight personnel in all, carried out the work. A jet vac crew set up and carried out the over-pumping. Two operatives controlled the ProKASRO robot. 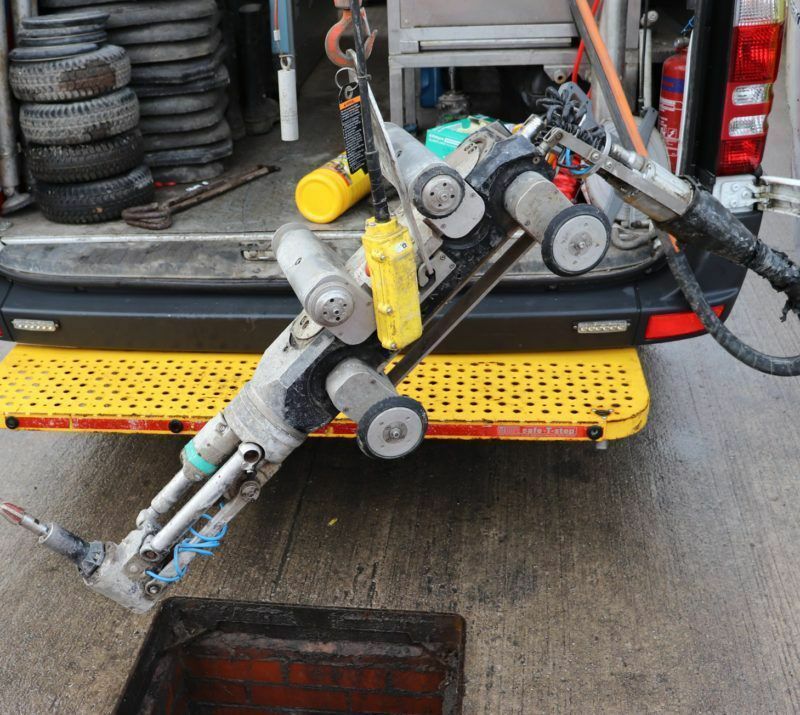 A CCTV drainage survey crew used a robotic camera to record and report evidence of the work, and a point lining team stood ready to line the pipe as soon as the piles had been cut out.